What is TPM? Total productive maintenance, which is a lean manufacturing philosophy. A system used to maintain and improve the production as well as quality of the system through equipment, machines, employees and process while adding business value to an organization. Traditional TPM was developed in 1960s with a 5s foundation that provides systematic approach to set the standards and visual guides for preventing breakdowns and making the equipment run smoothly. The key objective is to increase productivity of a factory and its equipment with a good investment in maintenance along with the focusing on enhancing the volume of production, employee confidence and job satisfaction. As we have an overview of TPM, now the training to understand how this system (TPM) basically works and enhance the productivity is known as TPM Training. It’s a quality training that basically teaches how to minimize the waste in all phases of operations. It teaches a learner the importance of equipment in a lean manufacturing environment and helps in introducing Productive maintenance tools and techniques. This is how TPM is helpful in Lean efforts and minimizing the wastes. TPM revolves around employee empowerment and inspires employees to take ownership of their machinery as a result it increases production time and saves the time wasted in unplanned maintenance. Earlier, employees were reluctant to accept this change because it directs the responsibility of keeping machinery and equipment to plant personnel instead of maintenance personnel. It encourages a proactive attitude towards taking care of machinery, cleaning, carrying out basic manufacturing maintenance duties and spotting issues while helping maintenance staff to perform more value-adding tasks. For companies, the employee resistance to TPM training was the major concern, however with the time same employee who were earlier reluctant start taking interest in TPM trainings and the value it was adding to their work and knowledge. TPM model is based on 5S foundation and these 5s ensure all the workspaces are Sorted, set in order, shine, standardize and sustained all the time which results in a safer working environment. It helps in keeping the machinery up to date on daily basis as the whole responsibility is not put on a single shoulder, but all the employees are responsible for keeping it clean and healthy. So, the daily checks avoid the loose ball bearings, lubricant leakage, or issues hidden under layers of grime which reduces the risk of accidents or injury keeping the environment safe. TPM is believed to achieve a perfect production and it can be measured using an overall Equipment Effectiveness (OEE) score card. TPM not only helps in making the process of improvement easier by quickly identifying loss areas but also set benchmarks and improves equipment productivity. TPM is trusted to improve the productivity and reduce the complaints. It addition to measuring OEE it also focuses on maintenance backlog known as TCO, total clean out. Then there are teams to tackle every specific problem that limits the OEE in order to maintain the continuous improvement cycle. TPM is majorly applied for achieving machine perfection. In addition to machine availability other factors such as logistical and human aspects play an important role. That’s why the contribution of employees across different disciplines forms an important part of TPM, making it the best method that monitors expensive machines and prevents the unnecessary maintenance costs from becoming too high and ensures that the production remain unaffected because of these issues. Everyone’s joint effort is involved in improving the OEE, which can only be achieved by forming small multidisciplinary teams. TPM focuses on the effective and efficient use of production resources and aims at participation of all departments. When there is a self-check at every level the chances of defects decrease and that’s how TPM works. A company find outs the area of defects within the production process and allocate quality component ‘tasks’ for each point in production. As a result, quality improves, and company attains higher customer satisfaction. Staff trust increases in TPM as it helps them in attaining a new level of satisfaction while decreasing the energy wasted in reworking. TPM is not only about maintaining productivity but also about maintaining machines and preventing the possible breakdowns while optimizing the machine availability. TPM Training makes every employee aware of the hidden losses with respect to machines and the time required for the repair, saving the company time and cost. TPM training makes every employee important and responsible for everyday maintenance of a machine. It makes them focused towards the present problematic scenarios that can lead to major breakdowns, if left unnoticed. Employee participation in improvement proposal and maintenance are major features within TPM, they can improve machine efficiency jointly. This is how TPM is based on the model of minimizing loss and maximizing the profit while helping in achieving high reliability, flexibility and durability of equipment. 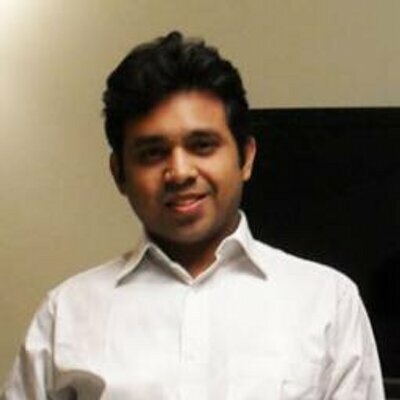 About the Author: Aditya is a seasoned digital marketing consultant with more than 10 years of experience in search marketing. He likes to write blogs on digital marketing, TPM Program, business, performance management software and finance. Driving best practices, Aditya has implemented SEO, SEM & SMO strategies at Justgoweb digital for some of the key customers across the globe.